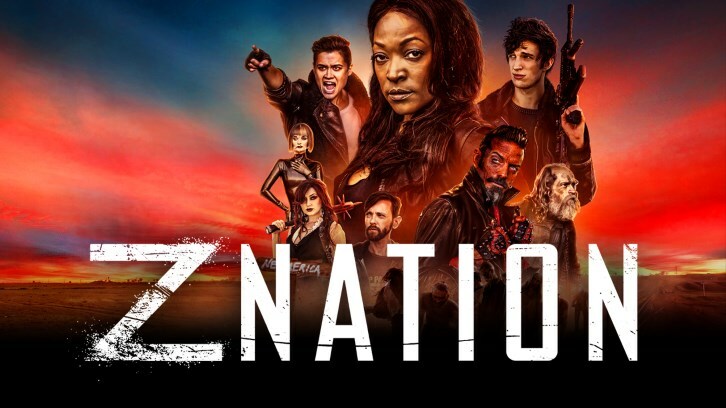 Well, for one episode and hopefully just this episode, Z Nation returned back to its roots of full out wonkiness, and it all felt agonizingly out-dated. The first half of Season 4 has refreshed this show to new heights culminating in last week's 'Back from the Undead,' a deep and emotional episode that saw the unexpected death of Lucy. 'Warren's Wedding' explored the grief of the team in the worst way they could have, by giving us a joke episode and resorting back to what worked in the earlier seasons. It was an episode full of juggalos, Warren freestyle rapping, and other stuff I am trying really hard to erase from my memory. Granted, the Warren bit was mildly amusing. Who'd have thunk it that our fearless leader knew Insane Clown Posse music? At the end of it all, Warren comes to the random conclusion that it was partially her fault that Lucy died. None of the preceding events led to her thinking this way, it all felt unearned in an episode that should have explored Murphy's anger. We saw bits of it at the beginning of the episode with Murphy bashing the Z senselessly. Also, Murphy's rage did lead the team to their predicament (10K and Doc blindly following him felt so out of character, by the way), but the episode failed to follow through on this emotional beat. At the end of it all, Warren decides to go to Newmerica. Why? I don't know, but this let's go East, let's not go East, is starting to get tiresome. 'Crisis of Faith' had so much potential due to the episode that preceded it, but failed to deliver in the worst way possible. The events felt outdated and the humour was painful, it was a complete momentum killer for an otherwise excellent season 4 of Z Nation. Let's hope they get back on track next episode.